So the floor has been installed… Now what? There are a number of things that the project team needs to consider with regards to floor finishes, such as sealing the floor and the types of epoxy, screed or treatment that is going to be applied to the floor. In this feature, we discuss key aspects that should be considered to correctly finish a floor. We also take a look at some of the trends and the evolution of floor finishes such as trims and skirtings. Some flooring materials will require sealing. While this doesn’t necessarily apply to carpeting and tiles, other flooring materials such as cement for example will need to be sealed. Not only will this ensure that your floor lasts a long time, it will also help you preserve the appearance of the floor. There are many different types of flooring systems being installed in commercial and industrial settings, which is why the sealant that you choose requires careful consideration. Some of the key aspects that need to be taken into account include the purpose of the floor, the type of industry, the amount of traffic that the floor will be subjected to and the location of the floor. The main types of sealers are permanent sealers, penetrating sealers and surface sealers. Some sealers are specially formulated to handle specific types of hazards, such as oil stains or chemical splashes. This can be particularly important in locations such as factories, production facilities, manufacturing facilities and warehouses, where a wide variety of materials and liquids will come into contact with the flooring over time. The porosity of the material, however, is the aspect that requires the most attention. • Minimising or preventing damage to the flooring from the spillage of chemicals, even if the floor coatings have been worn through. While some products have a dual purpose in the sense that they both seal and finish a floor, there is a key difference between a floor seal and a finish. Floor seals are chemicals that protect the floor by soaking into the pores that are found in absorbent materials. The seal clogs the pours so that staining agents cannot penetrate the floor. A floor finish creates an invisible protective layer over the floor, thereby creating a barrier against staining agents. The main resin floor finishes are epoxy and polyurethane. While both have excellent performance characteristics, there are a few key differences. Generally, polyurethanes can withstand higher temperatures than epoxies. Factors that need to be considered when selecting a resin floor finish include the type of environment, cleaning regime, nature of any potential spillages, cost, ease of use and preparation requirements. There are so many different treatment options and performance solutions available that most specifiers will be able to find the perfect product for their installation. Whether you need chemical resistance, UV stability, anti-slip finishes, surface appearance or longevity (or a combination of the aforementioned), you will be able to find a carefully manufactured treatment that suits your needs. The traditional goal is for floors to flow seamlessly from one room to another. Where this isn’t possible, transition mouldings are used to preserve the beauty of the finish and the structural integrity of the floor. Manufacturers of these finishes are often caught between a rock and a hard place because they have to try to recreate the texture, sheen and colour of a flooring product that they didn’t manufacture. Luckily, one of the latest trends is to blend material type and colouration to enable transitions between rooms. Blending metals with rug-type installations or polished concrete with laminate transitions, for example, can create striking effects. If a mix and match approach doesn’t work for the application, there are new types of skirtings that can bend around poles and trims and can be customised according to different product specifications, thanks to advances in technology and manufacturing equipment. Another trend in the floor finishing industry is stair nosing that is wider than the compact nosings traditionally used. Colour trends in floor finishings have also evolved from greys and neutral beiges to multi-coloured, oiled and rustic product solutions. A big trend at the moment is statement rugs, which can transform a relatively simple space into a unique and memorable room. Statement rugs have the ability to create interesting focal points, bold statements and tie the interior décor of a building together. Some of the trendy statement rugs by Vivienne Westwood, for example, include eccentric designs that have been hand spun with Tibetan wool creating fluid water movement features as well as bold colours that combine grand silk taffeta and velvet. Trendy styles at the moment include geometric patterns, paisley (of Persian and Indian origins), stripes and trellis, chevron (V-shaped zigzags) and argyle (outlined shapes). • Loop pile: Yarn is looped onto the back of a carpet. Ideal for high-traffic spaces. • Cut loop pile: Patterns are created with the loops. Not ideal for areas with young children or pets. • Hand twist pile: The yarns are twisted and then heat-set into position. • Shaggy pile: A luxurious look and feel resulting from 25mm and longer piles. • Sculptured pile: Cut and loop piles are used together at varying heights to create sculptural patterns. This is a good option for statement areas. • Natural fibre soft flooring needs to be vacuumed regularly from different angles and loose threads need to be trimmed. 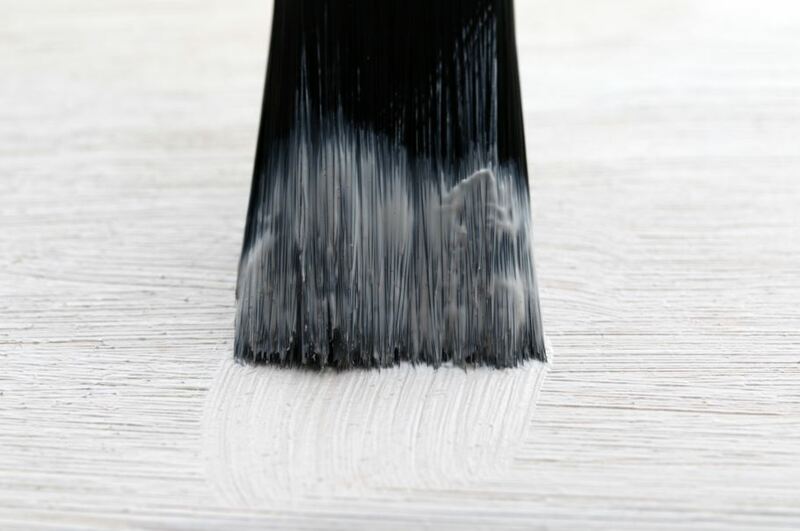 Paint and coatings will always be an important part of the floor finishing industry. Some of the notable trends include texture, which is taking floors to new sensory heights. Paints that provide soft parchment or suede finishes can add an instant luxury feel to a space. Many designers are also applying paint directly onto textured surfaces such as natural brick and wooden floorboards to add enticing elements to flooring. Industrial styles are also making a big comeback, with designers opting for monochromatic palettes of inky blue and grey tones to deliver a polished but effortlessly sleek look. This return to simplicity adds a rawness to the beauty of many flooring types. Full thanks and acknowledgement are given to www.floorworx.co.za, www.flowcretesa.co.za, www.floortrendsmag.com, www.floormasterbc.ca, www.thespruce.com, www.domain.com.au, www.elledecoration.co.za and www.arconsupplies.co.uk for the information contained in this article.